What's the difference between a MD and a DO? The simple answer is that both an MD (Doctor of Medicine) and a DO (Doctor of Osteopathic Medicine) are doctors licensed to practice in the United States. They are similarly educated and certified, but there are differences in their training and philosophy of patient care. Like MDs, DOs can practice in any medical specialty, but a majority choose primary care specialties. The AOA (American Osteopathic Association) estimates that 6 out of 10 osteopathic physicians practice family medicine, general internal medicine, pediatrics, or obstetrics and gynecology. Dr. Betty Tsang grew up in Philadelphia after emigrating from Hong Kong, where she was born. Her upbringing was shaped by lots of sports, classical violin training, and summers with the Johns Hopkins Center for Talented Youth programs. While attending Haverford College in Pennsylvania she developed a strong affinity for research in science and realized how research has the power to help the vast multitudes. After graduating with a B.S. in Biology and Biochemistry, she moved to Vermont and worked for the University of Vermont Department of Microbiology & Molecular Genetics. Her research focused on learning the concept that the human body, even down to the molecular level, protects itself and heals itself. Dr. Betty Tsang pursued her studies to become a doctor at the New York College of Osteopathic Medicine in Long Island, NY, where she would pursue a career helping people. Some of the main tenets of Osteopathy include that the body not only self-regulates and has a great capacity for healing itself, but that it does so as a whole unit comprising of body, mind, and spirit. 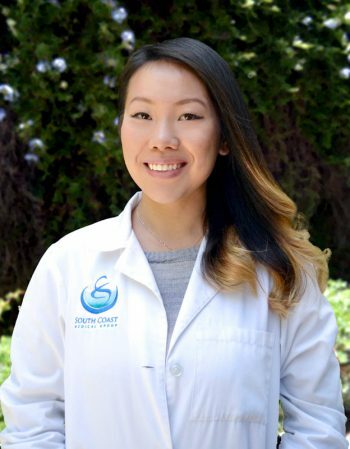 After graduating from medical school, Dr. Tsang completed her my residency in Southern California at Chino Valley Family Medicine Program. Dr. Betty Tsang believes in taking care of the whole person, mind, body, she believes in the invaluable contribution of a healthy diet and exercise regimen in both preventing and moderating disease. Being an avid and competitive runner, Dr. Betty Tsang desires to care for each person as an individual and promoting a lifestyle that will help them become the most healthy version of themselves. This can be possible despite one’s everyday demands. She would like to help tailor patient’s own program of diet and exercise to fit their unique goals and lifestyle. 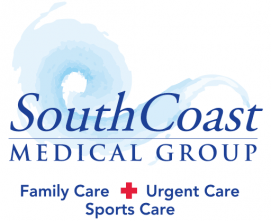 Dr. Betty Tsang also has a strong interest in caring for prevention and treatment of sports injuries.